There's nothing more fun than seeing 3 cats hanging out together and playing in our cage-free room. These 3 seem particularly active at night, running around with toys and causing a ruckus. Dancer (in the middle) came to the shelter in December as a shy older kitten. His brother Donner was friendlier and has already found a home, but Dancer has really taken his time. He has been letting people pet him at night when the shelter is quiet, but this week he started letting almost all volunteers pet him. 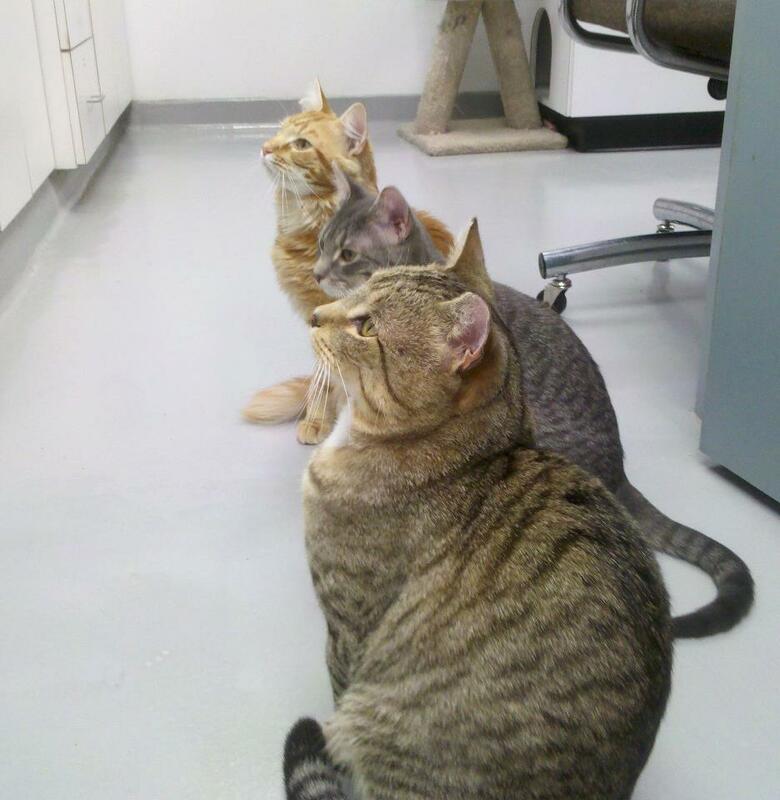 His friends Arnold (brown tabby) and Lancelot (orange tabby) love to swarm around our volunteers for attention, and Dancer is now joining them for this routine! Hopefully this is the start of the change we were hoping for since we would love to find him a home.